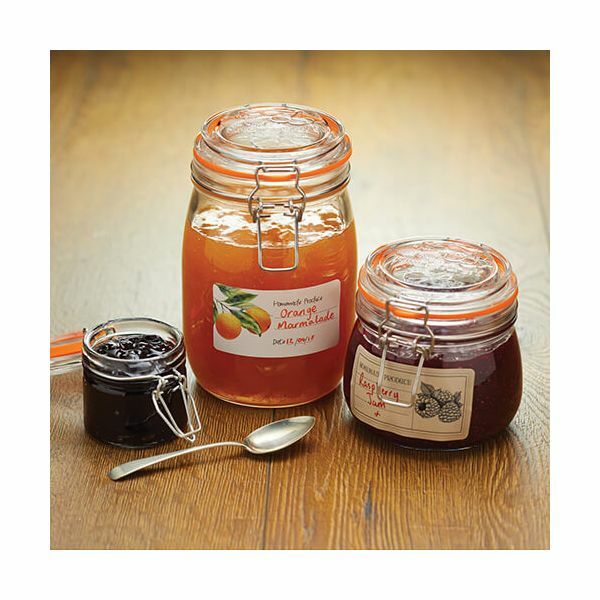 This pack of 100 HomeMade self adhesive labels are ideal for adding the personal touch to your homemade jams preserves and pickles. 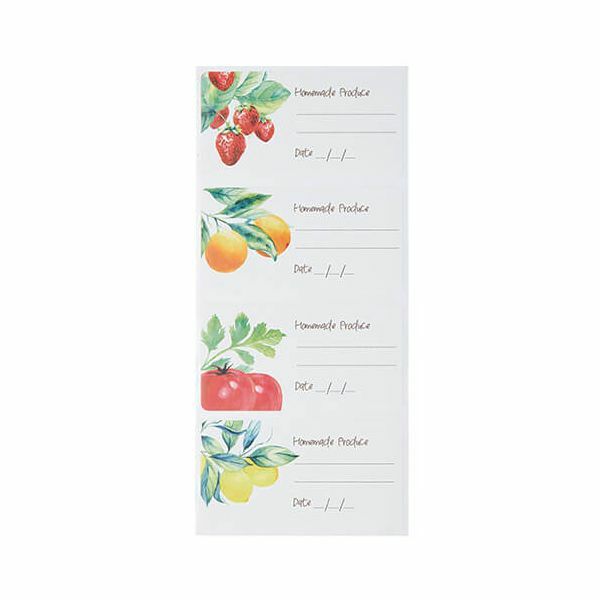 The pack of 100 labels include assorted illustrations featuring raspberries, turnip, cherries and onions. 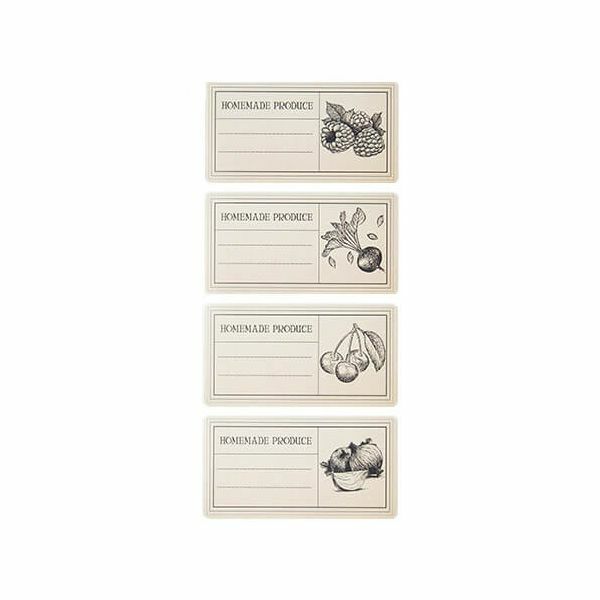 The labels are packaged on a roll for easy use and there is space on each label for the date and the contents to be written on.